- Gunmetal finish with black top. Stylish! - Easy Change Screen™. Just give it a twist. Kannastor Grinders come with sharp, specially designed blades for effortless herb shredding. 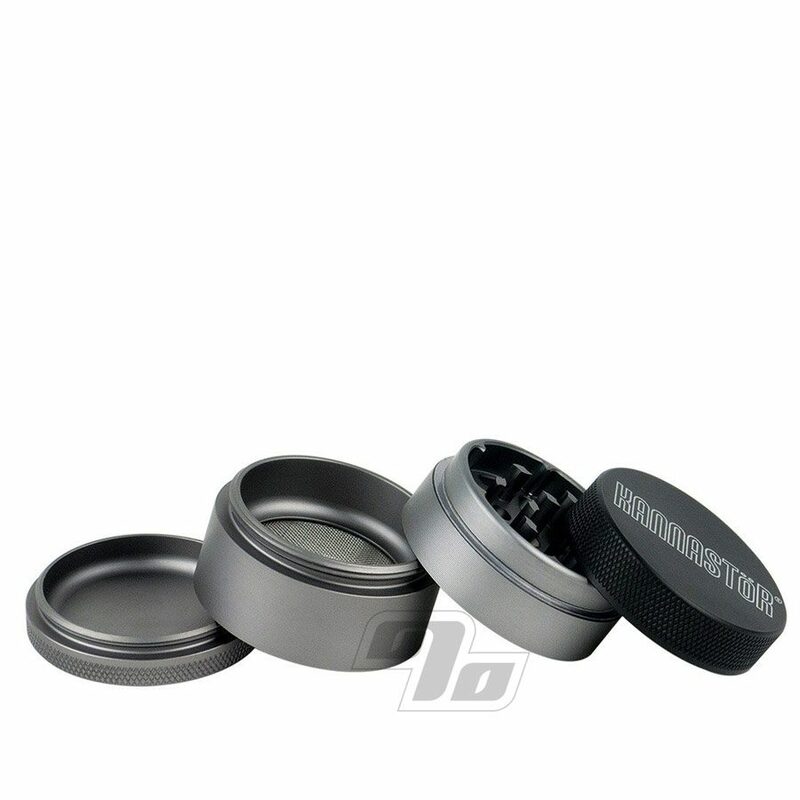 Smaller 1.5 inch in diameter with storage below the grinder and above the screen. 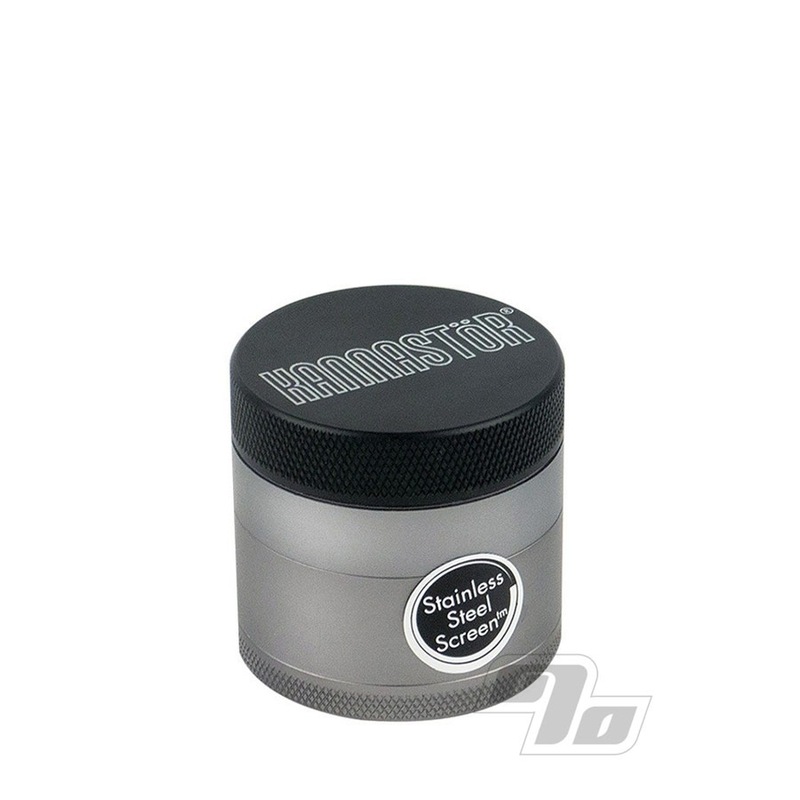 A solid grinder top with machined aluminum teeth makes for a powerful grinder. Strong magnets secure the top grinder component while Kannastor’s unique drop-thru hole design ensures perfect herb grinds every time. Deep herb storage chamber so you can grind and store more at one time and a new removable sifting screen for easy cleaning and replacement. The sifting screen is used for both filtering impurities and for capturing the essence of herbs and flowers (pollen) for holistic applications. Standard sifting screen is 60 mesh stainless steel. Includes a guitar pick kief scraper. 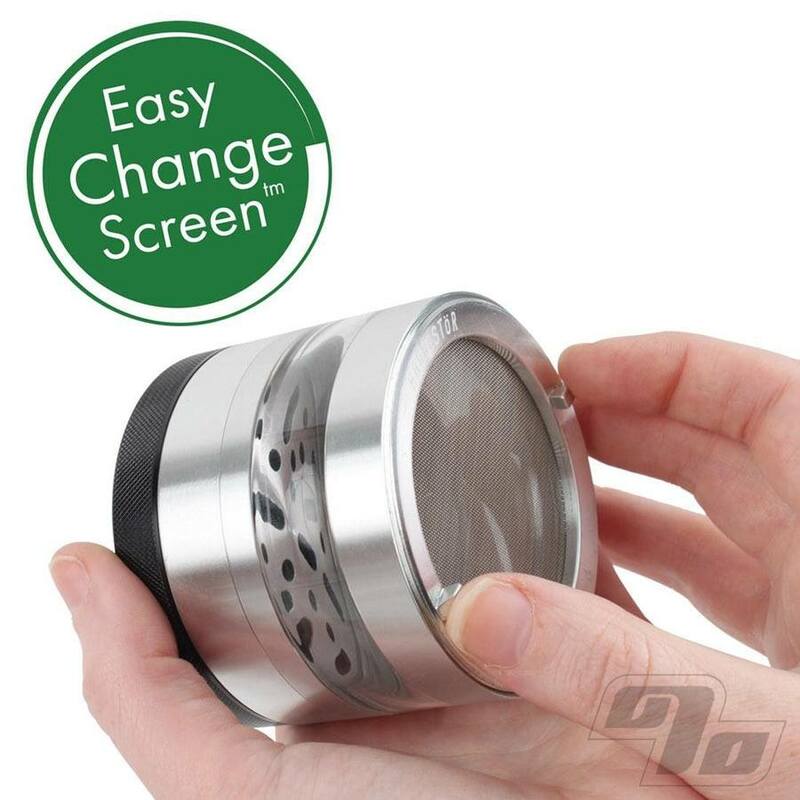 All Kannastor herb grinders feature premium aluminum construction with a one year limited warranty. All Kaanstor purchased at 1 Percent is genuine, real deal, 100%. We don't do fakes!